What's a list of 50 cheap, desirable, entertaining cars without a first-gen Toyota Celica? These little 2-doors were a Japanese take on the early American pony car, and while the late '70s Liftback Celicas look a whole lot like Mustang Fastbacks, the early coupes more closely resemble scaled-down Camaros. It is fairly easy to find a decent running ST with the wheezer 8R-C engine and 4-spd manual, but it takes some patience to locate a nice 5-spd GT or one with an upgraded engine. The Toyota 18R-G engine was made by pairing the venerable R-series iron block with a high flowing alloy twin-cam head designed by Yamaha, and we've found a lovely looking Celica with such a swap for a decent price. Hopefully the ad is real and not from a scammer since it's so light on details. 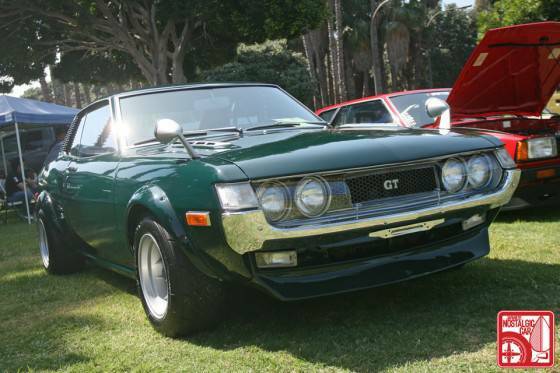 Find this 1972 Toyota Celica with 18RG listed on craigslist in Orange County, CA for $15k. This car looks to have been featured in Japanese Nostalgic Car magazine, or possibly on their website. If any readers have leads or know if this is a legit ad, let us know! This car has been modified in a JDM style with accents like the fender mirrors, front lip spoiler and bolt on fender flares. The wheels look appropriately wide and small diameter in keeping with the period correct theme. The 18R-G engine appears to be clean and well sorted. 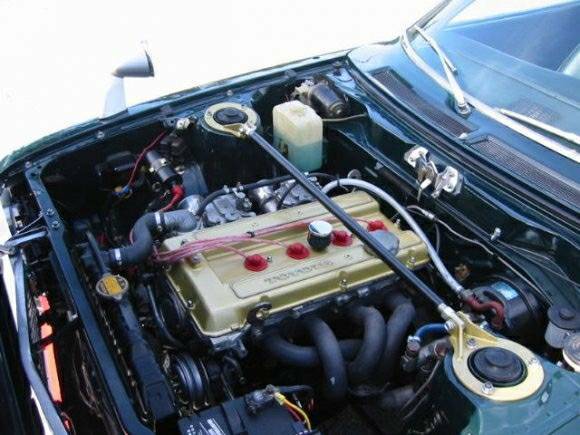 This was a 2.0 liter, 8-valve, hemi head engine that made anywhere between 135 and 145 hp as stock (depending on the exact version) but can be made to breathe far north of the 200hp mark with extensive modifications. Should be fun in a basic, lightweight coupe like the RA20 Celica, and these things can only appreciate in value. This is a cool car, but it's been sitting and been neglected for a few years, so it needs quite a bit of work. If someone goes through it and re does the chrome, re wires the engine bay, goes through the braking system and carbs, it's a nice car.